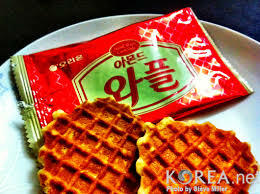 My students buy these in prepackaged bags and try to munch on them in class. I didn’t like these at first, but with my school handing them out nearly every week, they’re growing on me. 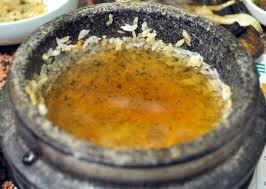 Leftover rice is allowed to boil until nearly burned. If seasoned with juices from leftover meat, this is delicious. 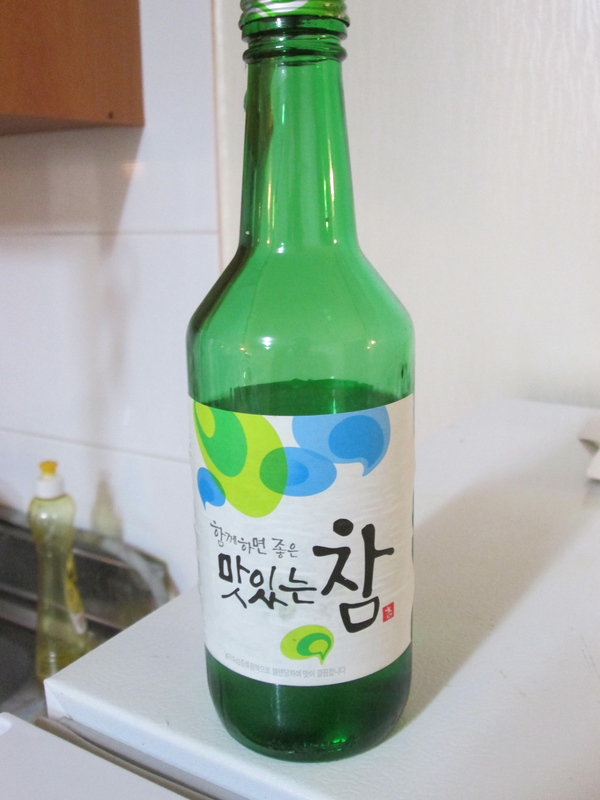 The most popular alcohol choice in Korea by far. 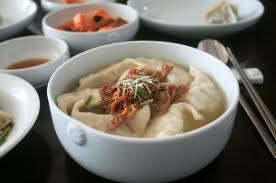 Meat-filled dumplings in soup. Very simply and very delicious . Kapi is how “coffee” is pronounced in Korea.While Starbucks and Dunkin Donuts blot every corner, instant coffee seems to be popular, especially in office settings. 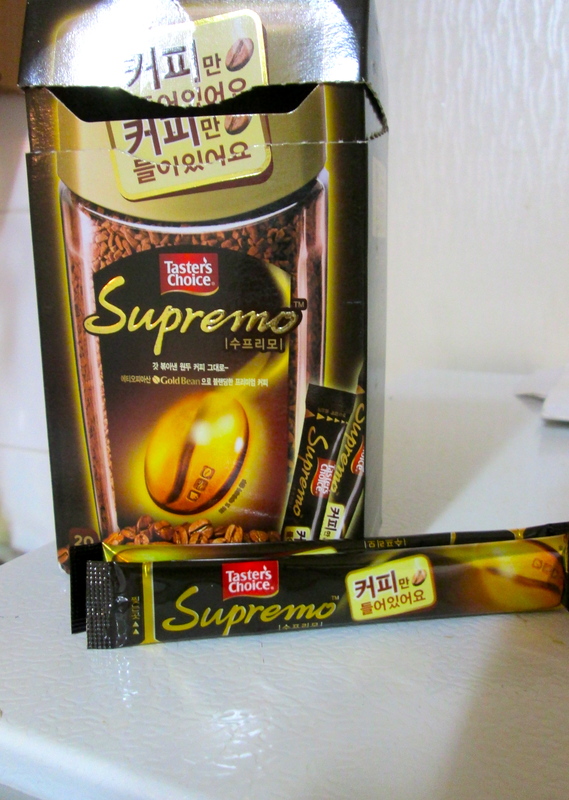 Everything-coffee,sugar,and cream-comes in one cute little package. Noodles and vegetables in a brown sauce. It tastes amazing. 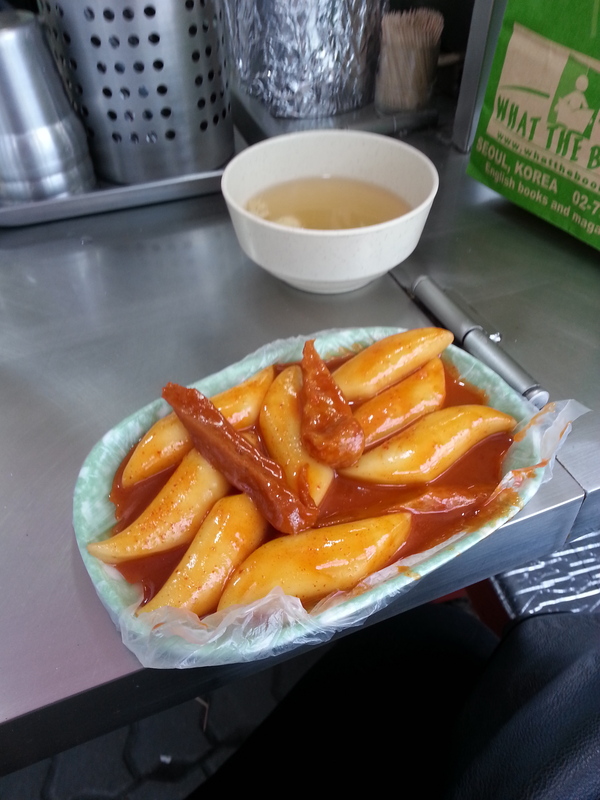 One my favorite Korean meals so far. 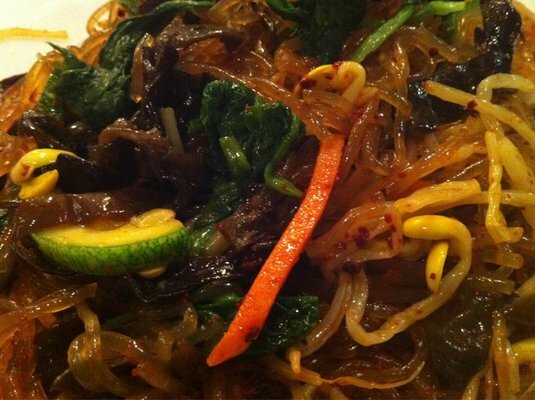 Spicy, circular rice noodles in a spicy red pepper sauce. 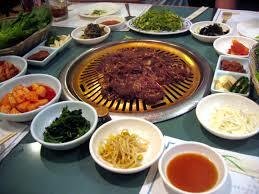 Flavorful beef cooked on a table-top grill. When it’s done, you wrap it in a lettuce leaf and make a scrumptious type of Korean taco. A mixture of ground beef,vegetables, and rice topped with a spicy red sauce. 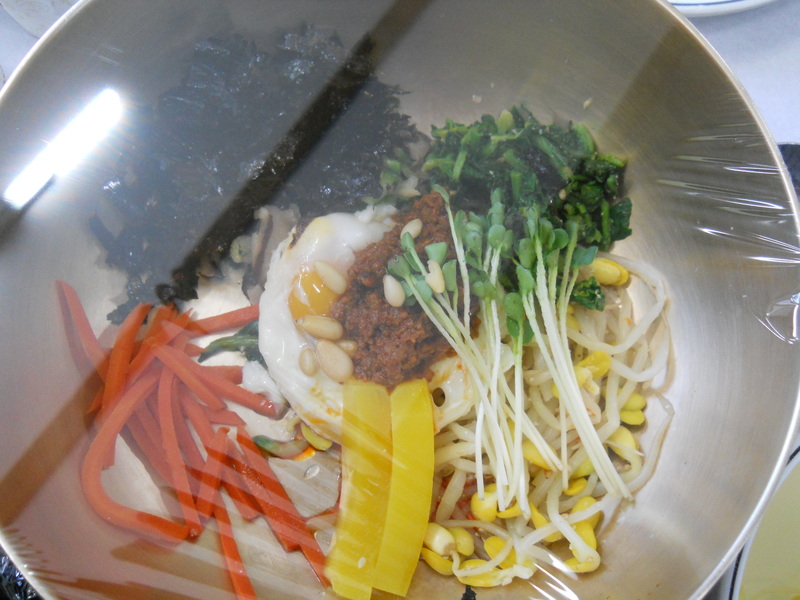 If you want to try the best of the best, head to Jeonju, the home of Bibimbap. 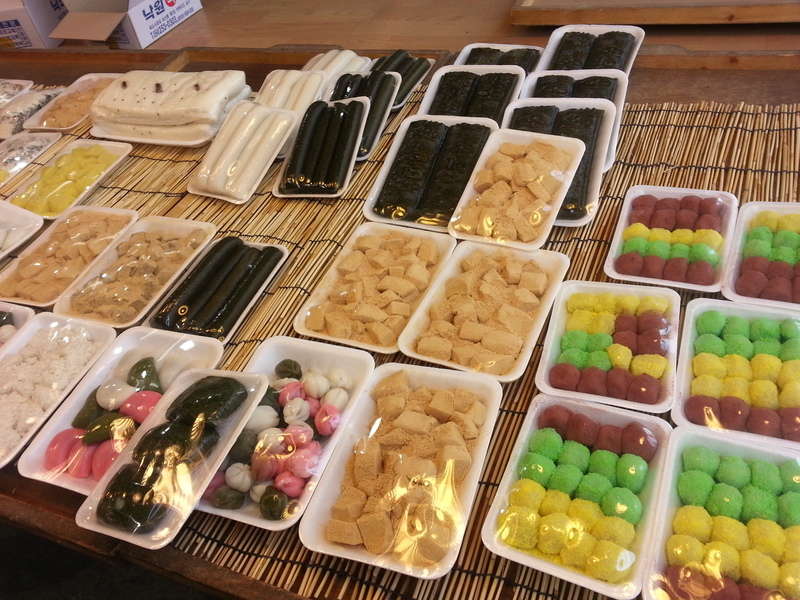 Have a favorite Korean dish or top-ten list of your own? Comment below!